Have you ever experienced troubled communicating during a tour? Many people in the past and still going on until the present day, have gone through many problems being able to hear what their tour guide is saying. This problem is a hassle and constant repetition is required for people to hear both ways between the tour guide and the walk-in customers. But what are tour guide systems to begin with? Most people would assume that everyone has experienced the use of tour guide systems, but that isn’t always the case there are quite a few who’ve never heard of this type of system. So to make it easier on them, it is best to break down the overall use of a tour guide system and the basics that they are used for, and some locations that you may be able to find them being in use. The use of a tour guide system is implemented and enforced in certain situations when it comes to distance and lots of background noise being made, these locations tend to be in a factory, museum, and buses and so on. Due to the loud voices of others on a busy day, industrial factories and their machinery and the gusting of the wind in these scenarios, the overlapping noise and voice of the speaker make it the most difficult for people to hear. The system would consist of a wireless transmitter that would be attached to a microphone, this will help broadcast the tour guides voice so that each and every individual will receive it through their headset or earphones. Each person in the group will each get their own receiver and headset to carry around on them and listen in their own comfort and go in their own pace and time to ask any questions whenever confused or curious. Many systems offer multichannel systems in which an additional person is able to speak and be the interpreter for those who speak a different language and need the help, as well as the two-way system being the communication between the guide and group members. They Help In What Way? These devices are extremely helpful for both parties, as previously mentioned being able to listen in their own comfort and communicating without the need to shout over the loud noises in the surroundings, the speaker will save their voice in this sense yet still gain everyone's constant attention throughout the discussion. A big advantage using these systems isn't only for the use of a tour guide support, but can also help those who suffer from hearing impaired and have problems in public areas. Which Systems Would Be The Best Option To Choose? 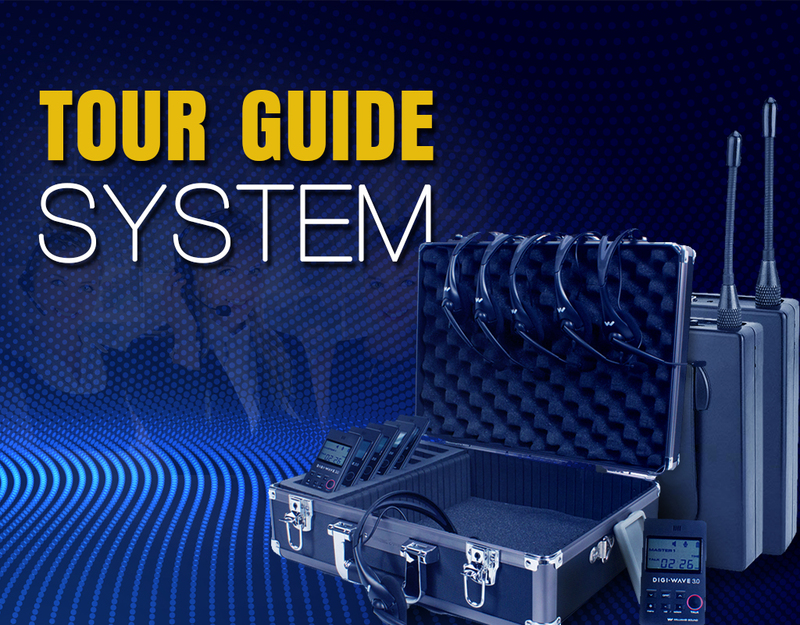 When it comes to two-way systems going with Williams Sound devices are always the right choice in all aspects. The Digi-Wave lets up to two tour guides to do the job, the second guide could be used for interpreters to help those with language barriers as previously mentioned. Also being allowed to communicate and interact directly with the other members of the tour, just at the click of a button. No more need for the shouting above all surrounding noises given their necessary environments, you will be able to improve the safety of the tour itself, help reduce the ambient noise that would tend to hurt people's hearing, and communicate in an at ease conversation level. Through this, the interaction would flow easier, without having to think about when the background noise will stop so you can ask your questions or asking them when you will return back to an area with less noise which by then the questions may have been forgotten. These devices are very portable and known for their slim and lightweight features, being very easy and simple to set up and begin using. Keeping the system very basic in the handheld device, by being able to access the two-way communication through just a click of a button on the device. It’s best to keep in mind where the applications of Digi-Wave would suit, from a regular tour of walking in museums, factory environments or an art exhibition, as well as a very important language interpretation for the communication barriers to be overcome. What Can These Tour Guides Be Used For? Apart from the regular tours that these systems are known to be used for, there are many other market areas that they can fill. Both large and small scaled companies try to find ways to make learning and communication easier between them given a certain scenario. A perfect use that these tour guide systems could be used for it an employee training. There are a number of challenges that are faced when trying to teach other and introduce them to new things, so a clear speech is very important to be heard to be understood and employ in their future work. The basic use of a tour guide during walking tours on historical sites, museums, and so on. 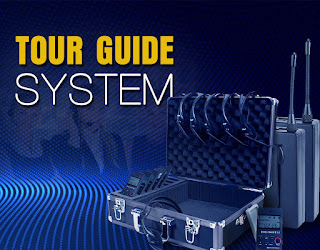 An interesting use would be during trade shows or VIP tours, as many big companies are heavily involved with trade shows in each season, the investment they put into them is maximized, during these events and private meetings using a wireless tour guide system becomes an attractive and unthought of format that can hardly be seen being used. Finally during an internal meeting with specific teams where usually everyone would be talking above one another, with a clear sound quality that will ensure everyone is listening more than talking. Overall the use of tour guide systems is more of an advantage than it is a nuisance to use. The most important part of all is its helpfulness it is in all industries and portable through its size and weight. It really does ease the pain in all situations and instead brings enjoyment, the constant learning each individual will gain through not being constantly interrupted and bothered with all the background noises that usually overlaps with the guide's voice. Finally, another advantage would be how the communication between guide and client can be made in a simple and clear manner.